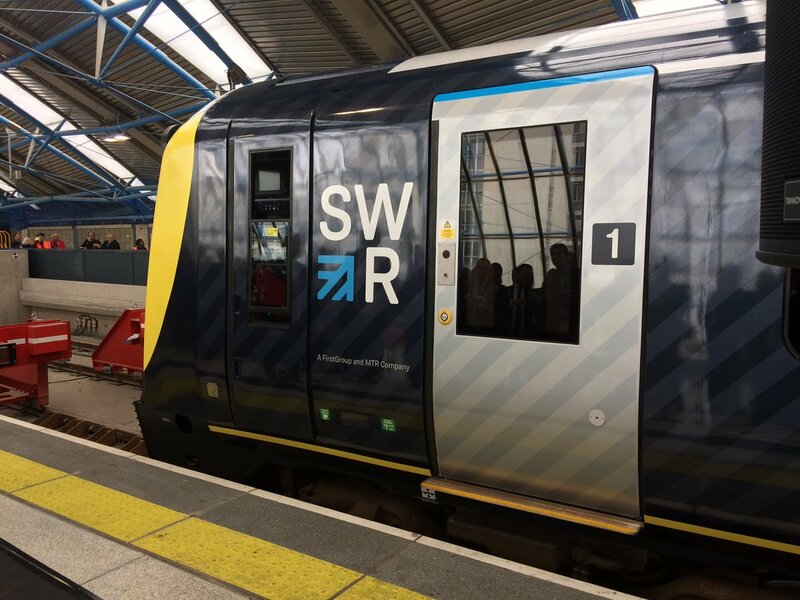 By the looks of things, South Western Railway (SWR) has released its new identity, and in turn, publicised it on a fully liveried train. Cue outrage from the purists, criticism people who know bugger all about lots of things, and a mixed reaction from those that actually know a little bit about design. You can get the general gist of their creative approach from the pic below. So what do you reckon? Sam Jessup, one of the top design guys at Virgin Trains was of the belief that a lot more could have been done to really sell the product - 'Surely the goal of the industry is to inspire travel, grow modal shift, give a reason to travel to travel more than just 'we'll get you there'...' He goes on to say 'I've always believed you've got to really sell your product for people to actively want to buy it not just cause they have to'. Whilst I agree that is a goal of the industry, the role a livery plays in the purchase of train travel, or inspire to purchase, is negligible. That's advertising's job. And the lack of competition between operators makes purchase unlike that of most other retail products. Of course, SWR should be well branded, as it can only have a positive effect on any perception of the company but like any product that is service related, its primary objective is to deliver punctual, reliable train travel for its customers. The real proof of the pudding will be if customers can link every piece of communication both online and offline and recognise it all as coming from the same company - something that will obviously take time.